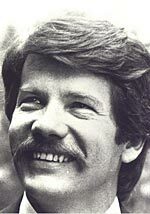 Jean Doré was born in Montréal on December 12, 1944. He was destined to become a lawyer, and was by now a well known figure. In 1974, he was one of the founding members of the MCM. As mayoral candidate in the 1982 election, he gained 36% of the votes. He was not successful, however, in being elected councillor. In 1984, after a by-election in the Saint-Jean-Baptiste District, he became the Opposition leader. In 1986, he was elected 39th mayor of Montréal.